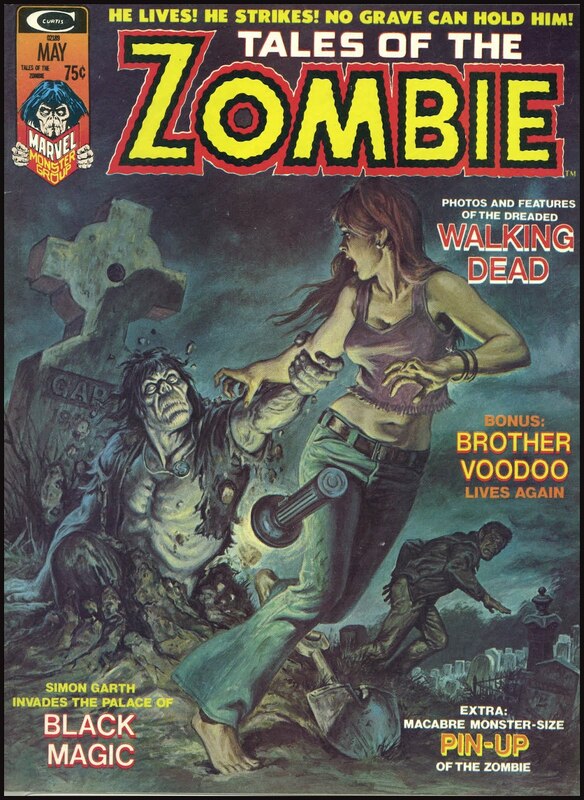 Tales of the Zombie (1973 – 1975) ran for 10 issues and an annual. 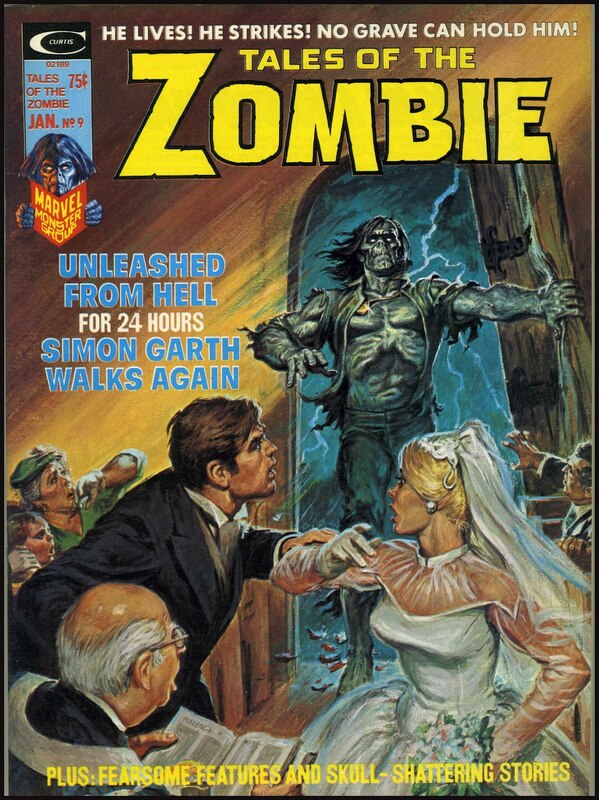 Boris Vallejo did the first four covers, and Earl Norem did the rest. You can see them all at the Marvel Wikia. Norem was a much better all-around artist, in my opinion, even though Vallejo is the one who became famous. Norem could paint anything, electrify and dramatize any scene (see the falling flashlight and erupting chunks of earth above), catch the details (rain-soaked leaves sucked through a thrown open door, the textures of leather, denim, clean hair, dirty hair). Boris, on the other hand, was a one-trick pony. 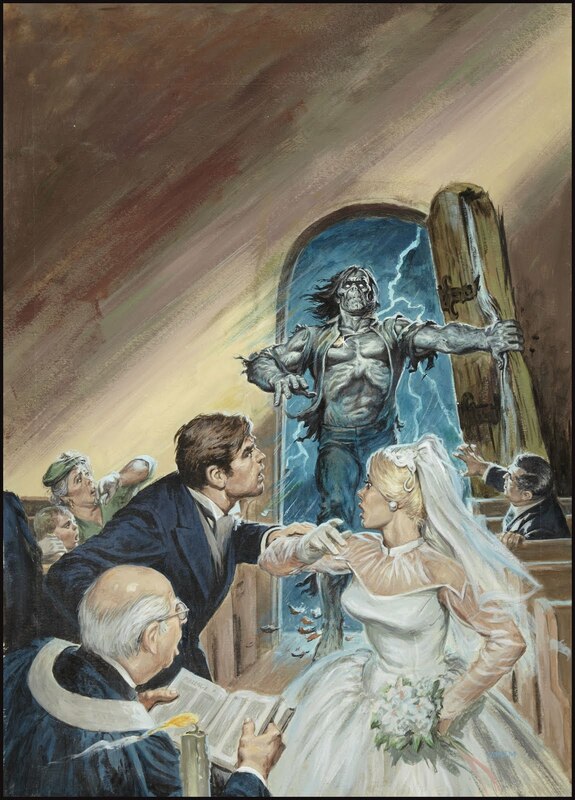 What he did he usually did well, but never as well as his master, Frazetta. Wow. I took a look at the wiki—definitely a remarkable difference in scene and character rendering between the two. How is it, though, that Norem wasn’t the one who gained notoriety, even though his style entailed all the qualities you mentioned? 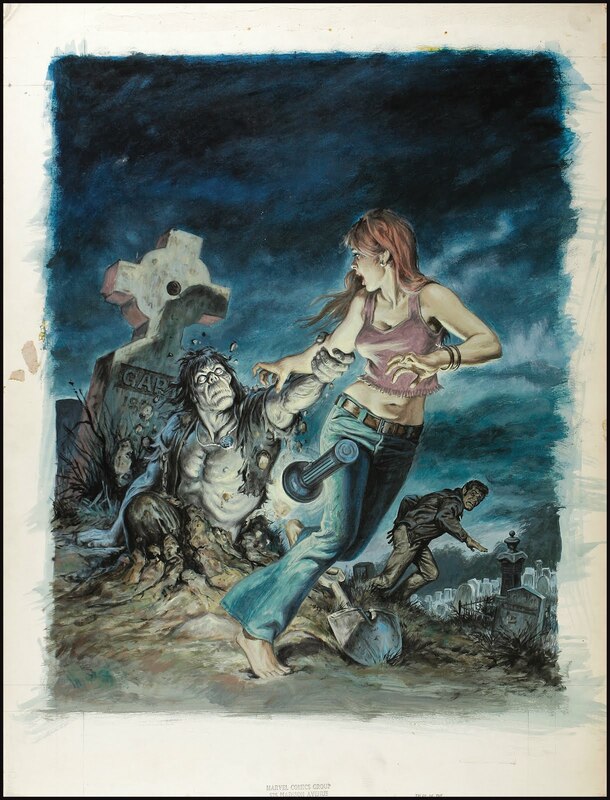 I think because (1) the Frazetta style was very popular at the time, and Vallejo did a damn good impersonation; and (2) Vallejo knew how to market and publicize himself, doing many interviews for the popular mags of the time, putting out calendars, etc. He had a giant ego and would often use himself as a model for his muscled and heroic characters.